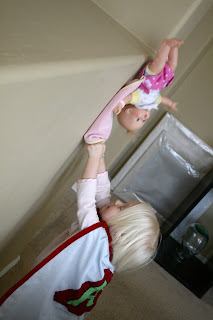 Every once in a while one of Blondie's little friends gets into some trouble around our house and we have to call for our hero. She usually answers pretty quick. is fast, strong, and incredibly brave. Thanks SuperA for another job well done. That was such a good idea! 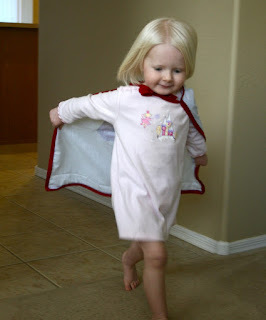 Lynnie loves her super hero cape. 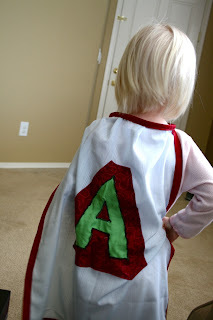 i love the cape! im i right to assume it was homemade? 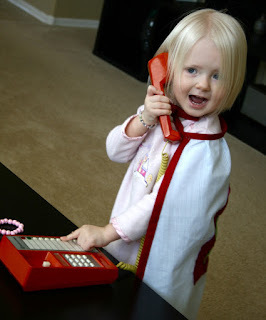 very cute ava to the rescue story, and very cute cape. I still say that the first picture is my favorite. It just shows so much personality and playfulness in it. We miss you Ava! We need to play again soon.